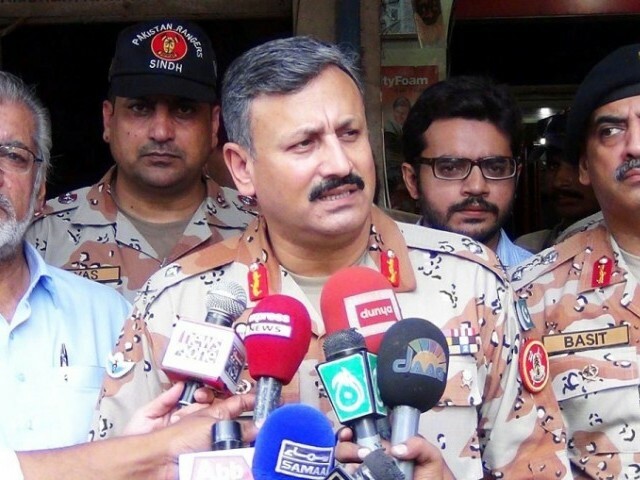 New ISI Chief: Another case of the more things change, the more they stay the same? Change is in the air. Not in Islamabad, though, in Aabpara. The extent of that change, though, remains to be seen. Anticipating the retirement of DG ISI Gen Zaheerul Islam next month, ISPR announced the appointment of a new spy chief by the Chief of Army Staff Prime Minister: Lieutenant General Rizwan Akhtar. Reports of the new appointment are all very encouraging, predicting positive changes for an important institution which has found itself fending off bas press lately. However, these encouraging reports are fairly standard and as history shows, encouraging reports of change at the top is not a good predictor of actual change in policies. For American officials, though, General Akhtar may offer hope of an improved relationship. In a paper written during a period of study at the Army War College in Pennsylvania in 2008, he stressed the need to establish a stable democracy in Pakistan and to curb anti-Americanism in the country. General Islam’s first job is likely to involve refashioning relations with Washington, which have been virtually frozen since an erroneous American attack near the border with Afghanistan in November killed 24 Pakistani troops. At a special joint session of Parliament set for this month, Pakistan’s politicians will debate the broad contours of a new policy toward the United States. Retired Pakistani officers considered friendly toward the United States said General Pasha’s appointment was positive. General Pasha may also provide an opening for more candid discussions with the Americans, particularly over the Taliban, Mr. Masood said. Analysts said they expected that General Akhtar, who recently led a campaign against the Taliban in Karachi, was likely to shy away from such a prominent political role — at least initially. But there is little doubt that he inherits a strained relationship with the country’s civilian leadership, which was evident from the manner of his appointment. Although the ISI officially reports to the prime minister, in reality it is controlled by the army chief, Gen. Ashfaq Parvez Kayani, with whom General Pasha had a close relationship during the agency’s turbulent relationship with the United States in recent years. General Pasha’s appointment comes two months after President Asif Ali Zardari and the senior adviser at the Interior Ministry, Rehman Malik, made a failed effort to wrest control of the spy agency from the army, which has always run it. General Kayani’s announcement about General Pasha reaffirmed the military’s institutional control of the intelligence agency, the English-language newspaper Dawn said Tuesday. The ISI is supposed to be more than a public relations agency, however. It is the nation’s premier intelligence agency and in many ways the front line of defence. Therefore, it is worth noting that, lacking any change in national security strategy, the national security deteriorated under each previous ISI chiefs. Soon after Gen Akhtar’s appointment was announced, jihadi militants carried out a suicide attack in Peshawar targeting a senior Army officer and more bullet riddled bodies were discovered in Balochistan. The reality about how so-called justice operates in Pakistan was put in stark relief this week. Courts gave decisions in three different cases, and the decisions speak volumes not only about law and order, but our society more generally as well. Thursday, the Lahore High Court granted bail to Lashkar-e-Jhangvi chief Malik Ishaq who is facing charges of fanning sectarianism through giving hate speeches. Malik Ishaq must be quickly approaching the world’s record for being charged and released in terrorism cases. Actually, though, it’s not just Malik Ishaq but most terrorists never get convicted. While Malik Ishaq is repeatedly given the benefit of presumption of innocence, another Pakistani is facing a very different judiciary. An appellate forum under the Frontier Crimes Regulation (FCR) has ordered a new case against Shakil Afridi, the doctor accused of helping the CIA find Osama bin Laden, for alleged involvement in anti-state activities and collusion with foreign intelligence. This is not an excuse for Shakil Afridi or a plea for innocence, only an observation that it accusations of cooperating with Americans against terrorism seem to be treated much more seriously than accusations of cooperating with terrorists against Pakistanis. And then there is the third group in this trio of justice systems. According to media reports, as SC was prepared to close the 35 missing persons case, it was revealed that no FIR has even been filed against the accused Army men. To the Court’s credit, it is taking the case seriously and is making what appear to be good faith efforts to see justice prevail. However, the Court also has to work within the boundaries of law, which means that it relies on other officials to carry out their own duties, who in this case appear to dragging their feet. And let us not forget that which some would certainly like us to quickly forget, which is the much rubbished New York Times report that ISI had a secret, unaccountable desk dedicated to Osama bin Laden during his stay here. This is a serious allegation made in one of the most prominent of the world’s newspapers. The last time such unsourced allegations were made, judicial commissions were constituted, officials were placed under house arrest and their movements restricted, and the nation found itself in an uproar. In this case, though, the article was dismissed almost unanimously within hours. Gen Pasha will not be called home from Dubai. No judicial commission or investigation necessary. The haul of handwritten notes, letters, computer files and other information collected from Bin Laden’s house during the raid suggested otherwise, however. It revealed regular correspondence between Bin Laden and a string of militant leaders who must have known he was living in Pakistan, including Hafiz Muhammad Saeed, the founder of Lashkar-e-Taiba, a pro-Kashmiri group that has also been active in Afghanistan, and Mullah Omar of the Taliban. Will the DG-ISI secretly meet with the author in a London hotel room to view the evidence against Hafiz Saeed and Mullah Omar? Will the alleged correspondence be ‘leaked’ to the national media so that the public can decide for itself about the facts of the case? So here we have one system of justice with at least three different types of justice: The jihadi terrorist who cannot be convicted, the accused foreign agent who can never be acquitted, and the Army men who can never be properly brought to book due in the first place. We can place the blame on the judiciary, but isn’t what we’re seeing actually a reflection of something much more familiar? A US jury on Thursday, June 9, 2011 cleared Pakistan-born businessman Tahawwur Hussain Rana of involvement in the 2008 Mumbai siege and in the process also cleared the Government of Pakistan and its intelligence agencies from accusations of support and involvement in the 26/11 terrorist attacks. 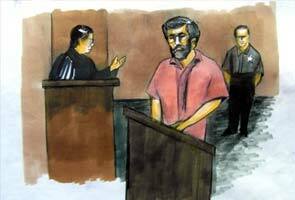 The man on trial in a US court Tahawwur Hussain Rana was accused of allowing his immigration business to be used as cover for his friend David Coleman Headley to scout out potential targets in India’s financial and entertainment capital before the attacks. The prosecutor’s star witness was David Coleman Headley, Rana’s old friend from high school in Pakistan. Headley, who has admitted lying to authorities, has been cooperating with prosecutors since his 2009 arrest at a Chicago airport. In a plot that reads like a movie thriller, Headley spent two years casing out Mumbai, even taking boat tours around the city’s harbor to identify landing sites for the attackers and befriending Bollywood stars as part of his cover. Testimony from the trial provides detailed information vital to understanding the intricacies and complexities involved in the planning of the Mumbai attacks. Headley, in his testimony, elaborated in detail how he befriended members of the banned jihadi group LeT and was assisted by some rogue elements. When questioned closely, Headley admitted that top officials of Government of Pakistan and Pakistan intelligence agency did not know about the attacks and were against it. Actually, claims of official support for the 26/11 plotters were disproven precisely by the fact that Headley and Rana found themselves in the court room. Rather than finding official protection after the attack happened, the 26/11 plotters told Headley to go underground since the Government of Pakistan and ISI officials were furious and were arresting the perpetrators. 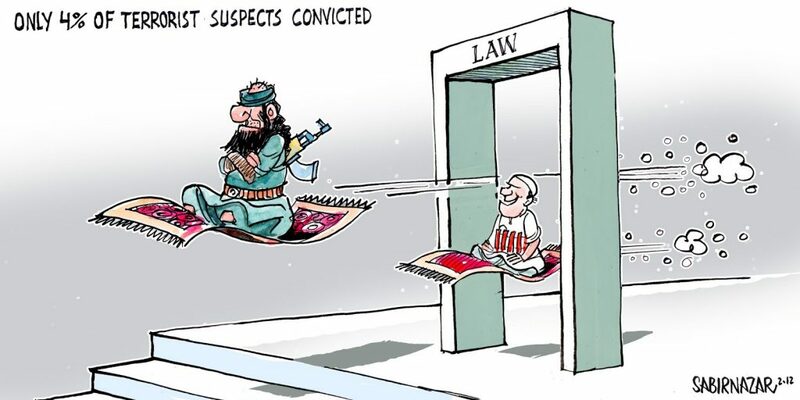 The Government of Pakistan and its intelligence agencies arrested most of the named individual in testimony, and they are currently under trial in Pakistan on various criminal and terrorism charges. The claim put forward by Indian government that Pakistan’s intelligence agency aided and abetted in the Mumbai attacks turned out to completely mistaken. Just as the British government and its intelligence agency MI6 cannot be blamed in the Cambridge five affair and the US government and its CIA cannot be held responsible for Aldrich Ames, Government of Pakistan and its intelligence agencies also cannot be blamed for the actions of rogues and impostors, many of them having been already discharged from service for prior suspicions. Now the truth is out in the shape of the facts revealed by the Tahawwur Hussain Rana trial. These facts confirm the statements of US security officials that Pakistan is committed in the fight against terrorism. Only the most hardened RSS-type conspiracy theorist could deny the facts as they have been proven not by an internal Pakistani investigation but by a neutral court of the United States. It should be remembered that Pakistan is fighting this war on two fronts: Against Al Qaeda and Taliban and against their affiliates in Pakistani society such as LeT, SSP, and other militant groups also. A complete generation after the Soviet invasion of Afghanistan imbibed this warped ideology which was allowed to grow unchecked even by the Western countries as it was used to defeat Soviet Russia in Afghanistan. Over the period of three decades, the jihadist ideology was institutionalized in Pakistani society by the Wahhabi madrassas and the financial backing they received from wealthy Arab states. Unfortunately, the Government of Pakistan lacked the resources to stem its growth and the rise of this jihadi ideology was not given proper consideration even by US till 9/11 attacks. This makes it a very complex war where Pakistan must fight not only the militant groups but at the same time purge the ideology of extremist jihad that has festered in society. 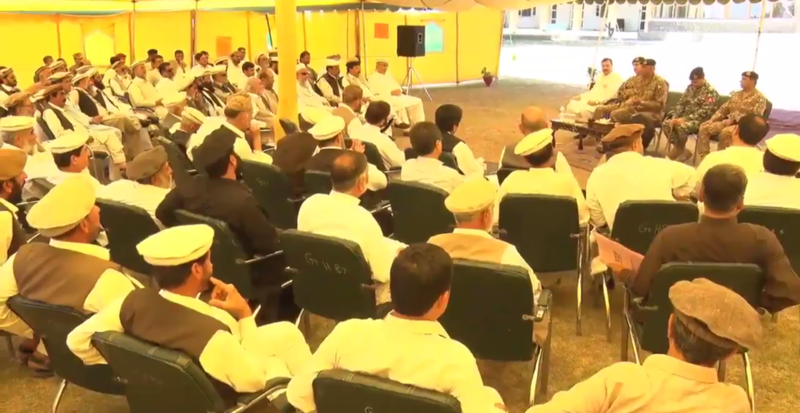 The Government of Pakistan and its intelligence agencies have been instrumental in dismantling the network of terrorist in region, the proof being counted in the thousands of Pakistani troops and intelligence agents who have laid down their lives in the fight against terrorism and continue to do so. This greatest of sacrifices in the war against terrorism has been recognised by US Chairman Joint Chiefs of Staff Admiral Michael G Mullen recently. 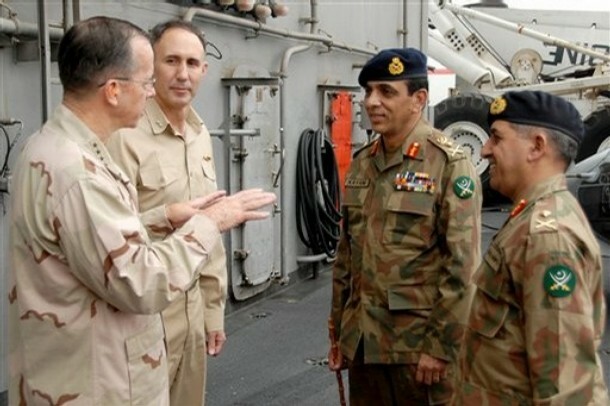 Admiral Mullen lauded the sacrifices and efforts of people of Pakistan and its security forces and reassured that security ties will not be allowed to unravel between the two armed forces. Gen Kayani and Admiral Mullen acknowledged that evolving Pak-US strategic relation was important for the achievement of mutual long term objectives of comprehensive security of both the countries. The outcome of Rana trial which was carried out in the US courts should clear any remaining misunderstandings and misguided perceptions. The Government of Pakistan and ISI officials had no role in supporting the 26/11 attacks or terrorism more generally.